A month after the historic apex court verdict favouring a clean-up operation in the Board of Control for Cricket in India (BCCI), debate over it seems to be unending with some experts terming it as "glaring unconstitutionality" while others think the judgement has basis as the question of public interest and public money is involved in the matter. The cricket body chose former apex court judge Markandey Katju to take head-on the top court and speak on its behalf to reportedly describe the verdict as "unconstitutional" which amounts to "throwing the law to the winds". However, former CJI Justice RM Lodha, who headed the panel of judges to make recommendations, reacted saying the apex court's verdict was the "final word" in the dispute. However, Goel, who recently came out with a two-volume book -- a compilation of constitutional bench judgements of the Supreme Court which was released in presence of President Pranab Mukherjee, said he has only reservation to the extent that the matter should not be left to the Lodha panel after the verdict and the court should have asked the government to involve its agencies by roping in experts from the sports to carry forward with the recommendations. He also expressed his reservation on Justice Katju accepting the offer of the BCCI to head the four-member panel to "advise and guide" on the apex court's verdict saying that Article 124 (7) puts a bar on the former judges of Supreme Court to plead or act in any court or before any authority in India. However, BCCI, which has sought review of the judgement, got a support from senior advocate Anoop George Chaudhari, who termed it as "glaring unconstitutionality". The debate over the apex court verdict is significant as BCCI has filed review petition while Cricket Association of Bihar through its secretary Aditya Verma has filed a contempt petition against the BCCI office bearers for allegedly making 'libelous' statements. Chaudhari further pointed out that a body or authority must have all the "trappings" of a state within the meaning of Article 12 of the Constitution in order to be amenable to the writ jurisdiction. The senior advocate added that constitution bench has earlier held that merely because a non-governmental body exercises some public duty that by itself would not suffice to make such body a state for the purpose of Article 12. Chaudhari said "The Supreme Court cannot rewrite the constitution of BCCI. Only the General Body of the BCCI is legally and statutorily competent to amend its constitution and that too in the manner and in accordance with the procedure laid down in the constitution of the BCCI. Goel, however, said that there is no necessity of any judicial body for reforming BCCI. In fact such reform can be better undertaken under the leadership of experts (sports people) having equal or more credibility. "Court is entitled to look into it as it involves public interest and public money is also involved. If court finds that some steps are required to be taken either government/ sports ministry can be asked to formulate such steps through whatever agency whether a judicial committee," he said. Goel further said that it is not for the BCCI to directly appoint but for the government to bring forth the committee. He said that Katju appointed by the BCCI to head a four-member panel to "advise and guide" it on the July 18 apex court verdict should not have accepted to act on behalf of cricket body and not entitled under Article 124 (7) of the Constitution. On August 16, BCCI had filed a petition in Supreme Court seeking review of its July 18 verdict saying the bench headed by Chief Justice T S Thakur had "a prejudiced approach" against it and he should recuse from hearing the matter. 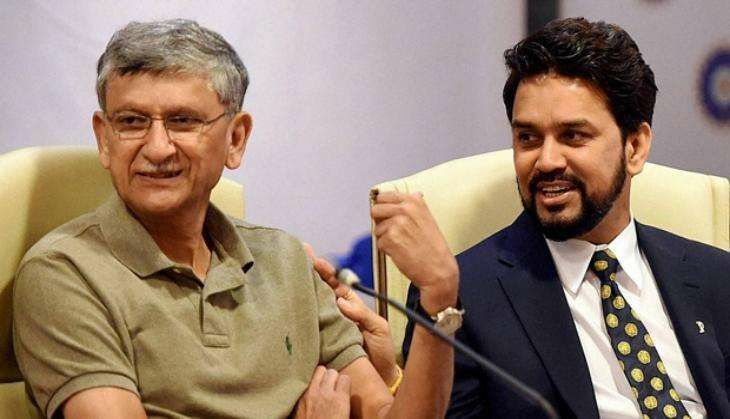 The BCCI has also contended that the judgement was "unreasoned" and "seeks to frame legislative measures for a private autonomous society in a field already occupied by legislations, both parliamentary and state".